dead celebrities,Dead black singers,rip aretha franklin,aretha franklin,how did aretha franklin die? All Voters For Leave Aren't Racist; Some Are! And All Will Be Guilty By Association! Britain decided to vote leave! Meaning to no longer remain in the European Union and for want of a better phrase “Make Britain Great Again” echoing that cringe worthy Trumpism. Months of heated and somewhat lukewarm social media passive aggressive arguments between those who were generalised and berated as the battle between ‘stupid vs fearless, xenophobic vs patriotic and uniformed vs misinformed’. The battle has ended in the Leave team proving victorious. In the end, 51.9% of the British people decided it was time we left the EU. However, the war of words was not over. Despite the numerous lies and exaggerations on both sides during this campaign, it can be said it has revealed some frightening truths about society. We are far to quick to belittle people’s opinions with disparaging labels such as racist, stupid, cowards and xenophobic. A person can be all of these things whether voting Remain or Leave. This belittling is why many of the Brexit supporters didn’t vocalize their choice before the vote. This fear of ridicule has stopped a much-needed discussion that may have changed their minds or given them more information to make an informed decision. Politics and economics need to become mandatory subjects in the school curriculum. Many many many people simply do not know enough about either subject to speak on facts rather than propaganda. Maybe that’s why we elect people to make these tough decisions for us? If Britain can vote Out then USA can Vote President Trump! Brexit won and it is time to accept the outcome and deal with the consequences. Which are: an uncertain economic and political future, diversity and multiculturalism has taken a blow and racism is exactly the same as it has always been no more no less. One truth is the debate for many was stability vs the unknown. The economy can go three ways in the long term: up, down or stay the same. Sad truth is if you were poor yesterday, you will still be poor tomorrow, next year and when your kids’ kids die they will still be poor. The poverty traps of society will still exist with or without the EU. However, if you live in a place like Cornwall which actually receives significant money from the EU for regeneration you might not have wanted to bite the hand that was feeding you. With that said, the economy is at halftime. We will have to wait for how this second half without EU membership plays out before deciding who won or lost. What we must do now is deal with the aftermath of what has happened and what has been said. Right now we are in the day after a messy argument with our partners. Hurtful things were said in the heat of the moment. However, angry, sad, happy or confused people may be, London simply can’t divorce the rest of England or vice versa. We must find out if our partner is the monster we painted them to be. Firstly, people must start to understand that Xenophobia and Racism do not have the same definition. If a carriage on the London underground was filled with ‘Europeans’ and another was filled with people from The Commonwealth, the two carriages will have vastly different ethnic makeups. If we were to pigeonhole this vote it wouldn’t be on racism it would be nationalism. To say 51.9% of the British population are racist is a vast generalization. It would actually be a scary prospect, that would have terrible implications for our future. However it can be argued why xenophobia and racism are used to interchangeably in our dialogue on immigration. If a person says I don’t want any more immigration, regardless of where the people are coming from, then you could argue that are potentially xenophobic. But, if a person says I am ok with immigration from Australia or white South Africans. But they are not ok with immigration from Africa, middle East, Asia or Caribbean; then they are potentially racist. Obviously, the question was simply on EU immigration. But we must pose the question, if a person is against EU immigration are they likely to be for or against immigration from outside of the EU? Commonsense would say ‘against’ even if Farage tries to say otherwise. Even with that definition separation, diversity has taken a serious blow. 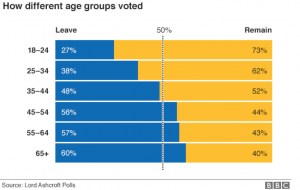 There’s no coincidence that the places or the people whom are old enough to know a Britain with with less diversity, decided to vote leave. Sometimes it feels like people outside of London think that as soon as you walk down Oxford street someone hands you a Qu’ran, some jerk chicken, makes you where a kente cloth dashiki, a polish person offers to fix your roof for cash in hand and some other minorities make you denounce your English flag and pride. Obviously, this is an exaggeration; but there are still too many people whom either exaggerate the level of immigration or are afraid of immigration even if it indisputably benefits their life. So no, everyone whom voted leave isn’t ‘racist’. But what this results says about the British people isn’t that simply either. Racism as a term seems to just been banded around to stifle debate and belittle people’s arguments. 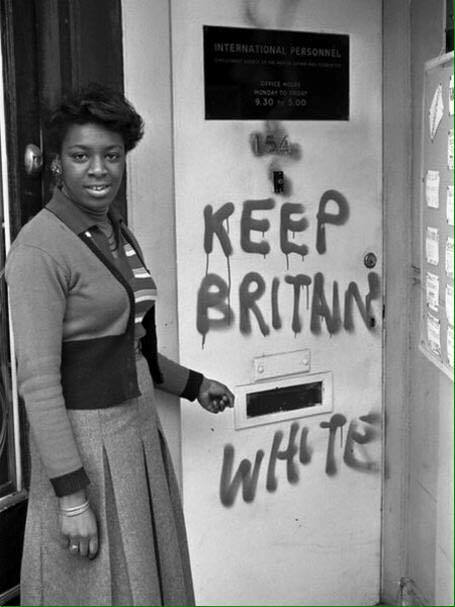 However, those whom voted leave must acknowledge there is a minority in their ranks whom see this as the first stage of their racist agenda and regressive wishes to make ‘Britain Great Again’. 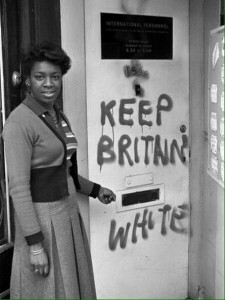 The majority of “Vote Out” did not reflect this picture; even though this picture was taken when Britain was supposedly “great”. However, there are some whom would like to return this Britain. There are some whom are either racist, islamaphobic or both. 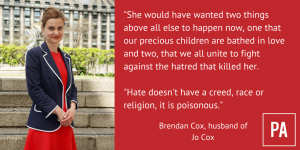 They may not graffiti my front door, but at best they will click like on a racist post or page like Britain First or worse turn into a Thomas Mair, the Right Wing Terrorist whom killed MP Jo Cox. If we look at the stats we can see that the majority of the under 45s voted to remain and majority of over 45s voted to leave. It can’t be coincidence that the people whom would have grown up in a Britain with less diversity, less population and more racism decided it was time to regress instead of progress. So to deny the negative element of the movement is as bad as generalising it by the minority. So rather than simply complaining because you are being tarnished by the same brush. Brexiters should be acknowledging and denouncing those whom do hold those views. And, use this as an opportunity to explain their choices without rhetoric or propaganda. Otherwise, to many they will still seem guilty by association. In short, people voted for vote leave for a number of different reasons and they won. Some voted for control, transparency, autonomy, to save the NHS, limit immigration, stop immigration, make Britain great again and whole host of other reasons. Despite the negative tone of the debate, the obvious remains true; older generations are potentially more xenophobic and racist than younger generations. However, to generalize all or to deny this is equally as bad. Britain First doesn’t have 1.4million likes by accident. Yet, there will be many Brexiters whom simply voted for what they thought would be the best for Britain regardless of any prejudice. Only they can know their reasoning. So, it isn’t our place to label them simply because we were on the losing side. Did you vote remain or leave? 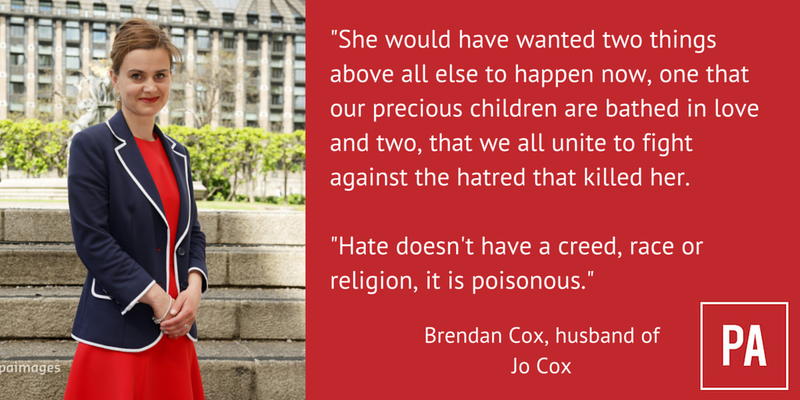 Do you think Britain will be able to come together after such heated debate? When is a terrorist not a terrorist? Antoine Allen is a presenter and blogger. He is the author of AntoineSpeaks.co.uk. He has worked with major brands and interviewed sporting legends, politicians and the general public. Firefighter Suspended After Saying He Would ‘save a dog before a black man’ | Does He Deserve A Second Chance?